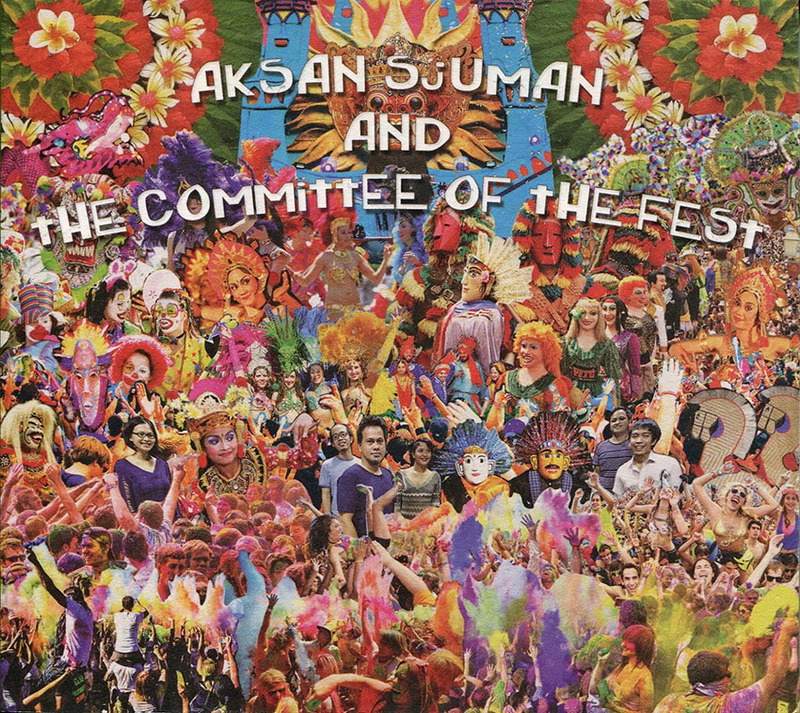 Realitas Khayal (Imagined Reality) is a six-track album released by Aksan Sjuman and the Committee of the Fest, an Indonesian experimental band started by the drummer, Aksan Sjuman. Sjuman recruited his fellow bandmates to help him fulfill his vision of 21st century art in the form of music. ASATCOTF’s music can be billed as mainly jazz intertwined with different elements taken from other genres like pop, swing and rock. The colourful and explosive album art perfectly reflects the ever-changing mood of the album. The crowded collage of various pictures represents the band’s tendency to use uncommon sounds in their free-jazz influenced music and their belief in freedom to experiment. 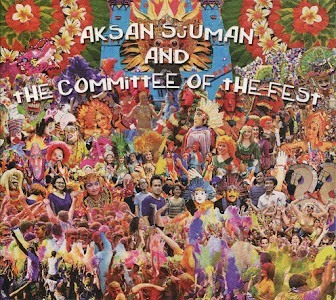 On the album art, many different faces and elements of Indonesian culture can be seen. This works parallels with the album’s tendency to incorporate unexpected elements in their music like the inclusion of spoken word on the final song Hidden Track (the Indonesian lyrics were a nice surprise). The album clearly demonstrates that lyricism is its strong point on the second track, Hungry. The idea of self-control is explored in a very roundabout way that is completely left-field and lyrics are delivered in an intense way that is almost a performance in itself. Heavy vocal delivery paired with dissonant notes, Hungry leaves you slightly disorientated with Kartika Jahja’s sensual voice still echoing in your head. ASATCOTF stated that they wanted their music to be unexpected and unpredictable and they certainly achieved that. The whole album spans a wide range of emotions, starting it off with a hard fierce song that is mainly structured by a grungy raw guitar riff and then casually mellowing out in a tragic spoken-word track. The band chose to record their music live rather than separately to play up the dissonance of their album. The band stated that when playing together, each member would come in at any point in the song at his or her own choosing. While the band still manages to pull off a polished sound using this technique, the album lost its structure and some of its energy near the end of it. However, All in all, the experimental band makes a bold and off-kilter statement with its six live recorded tracks.